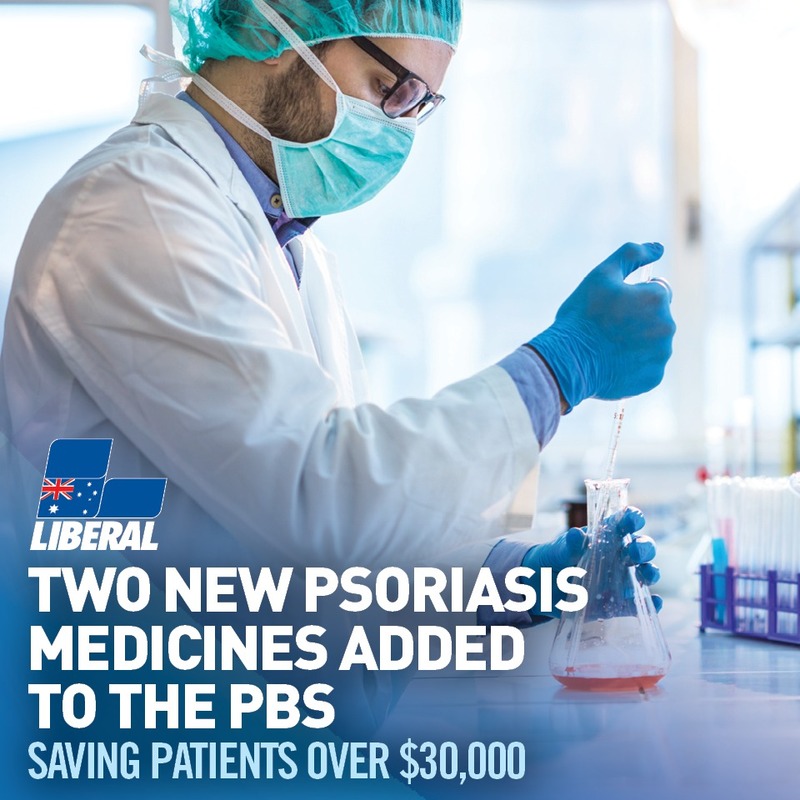 The Liberal Government will make two new medicines for the treatment of the skin condition psoriasis more affordable for Pearce residents, saving patients up to $32,600 per year. Federal Member for Pearce, Christian Porter, said the medicine Tremfya® (Guselkumab) is being listed on the Pharmaceutical Benefits Scheme (PBS) from February 1 for the treatment of severe chronic plaque psoriasis. “The medicine would cost around $30,200 per patient, per year without PBS subsidy. Under the PBS the price goes down to just $40.30 per script, or $6.50 for concessional patients,” Mr Porter said. Mr Porter said the Government will also list the medicine Ilumya® (Tildrakizumab) on the PBS from February 1. “The medicine currently costs around $32,600 per patient, per year. Under the PBS, patients will pay $40.30 per script, or $6.50 for concessional patients,” Mr Porter said. “These two medicines are expected to benefit 3,600 Australian patients with this condition. The Liberal Government continues to provide PBS listing for every medicine approved by the Pharmaceutical Benefits Advisory Committee (PBAC) ensuring that new, essential medicines are affordable for all Australians. Since being elected, the Liberal Government has helped Australians with new medicine subsidies worth more than $10.5 billion and listed almost 2,000 medicines.